Chris Thomas is the Policy Director for the Illinois Citizens Utility Board (CUB), an organization that has been referred to as the “gold standard for utility consumer advocacy nationwide.” Mr. Thomas is an accomplished energy system economist with proven achievement in finding collaborative solutions for complex technical problems. 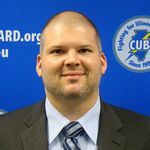 He is responsible for developing consumer driven policy initiatives and has helped to shape CUB’s role as a proactive consumer advocate working to realize real quantifiable benefits for consumers. Mr. Thomas is helping CUB to develop a comprehensive vision for bringing the benefits of a modern grid to customers. His experience includes evaluating legislative and regulatory proposals, negotiating and litigating solutions for complex technical issues, and advocating for full inclusion of demand side resources into the energy supply portfolio through legislative, regulatory, policy, and technical channels. New business models for demand side initiatives are critical to consumer benefits in the restructured electricity system, and Mr. Thomas is working with a number of key players to help develop commercial and regulatory solutions that encourage the development of sustainable business models for demand response and energy efficiency.